President Donald Trump launched another attack on Twitter against Rep. Ilhan Omar Monday, accusing the Somali-American refugee of being ungrateful and making anti-U.S. remarks. The tweet follows Trump’s decision to post video footage of the September 11 terror attacks intercut with a comment Omar made in a March speech. The Minnesota freshman has faced increased backlash for remarks she made at a Council on American-Islamic Relations (CAIR) event last month. "For far too long we have lived with the discomfort of being a second-class citizen," Omar said. "Frankly, I’m tired of it. And every single Muslim in this country should be tired of it. CAIR was founded after 9/11 because they recognized that some people did something and that all of us were starting to lose access to our civil liberties." But the wording "some people did something" struck a nerve with many, who accused Omar of downplaying the terror attacks. A clip of her remarks has also been taken out of context and weaponized. Among some people who’ve done that is Trump, whose 2016 presidential campaign and White House tenure has been colored with extreme anti-Muslim views and policy proposals. To an extent, it seems that painting Omar as a Muslim foe who hates America will be part of Trump’s broad 2020 strategy to retake the Oval Office. Administration officials have defended the president’s attacks against Omar, dismissing concerns that his rhetoric would lead to more threats against the Minnesota Democrat. 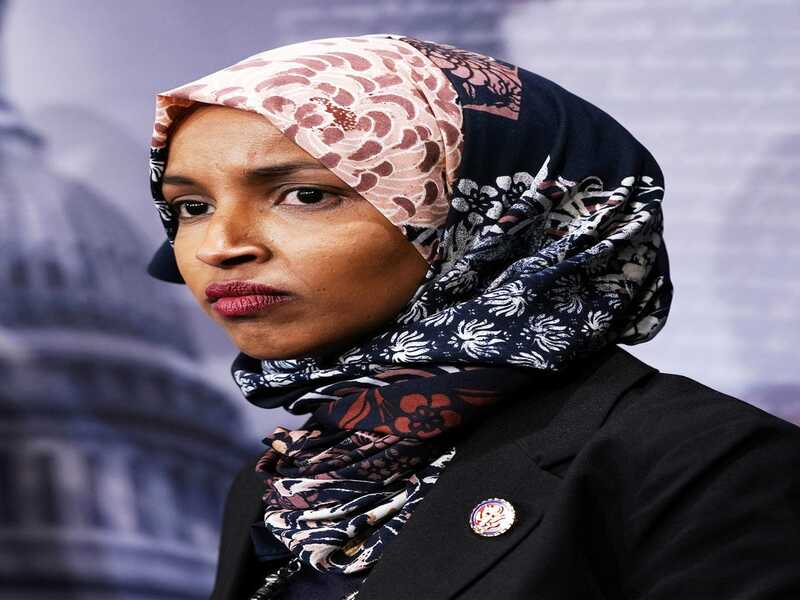 "Certainly the president is wishing no ill will, and certainly not violence towards anyone," White House Press Secretary Sarah Huckabee Sanders said Sunday, highlighting that Omar has been accused of anti-Semitism in several occasions. "But the president is absolutely and should be calling out the congresswoman."